As I’ve mentioned, I have a lot of unfinished projects stashed in my studio. While it’s probably unrealistic to expect to have a finished project to share every Friday, I hope there will be at least some Finished Friday posts this year. Maple Leafz before: still needs some quilting before I can bind it. Maple Leafz after: quilting done, binding on. Yeah! Granted, I didn’t have a whole lot to do to it, but at least it is done. So I heave a sigh of relief and cross one thing off my project list. Yeah! For those who are interested: the quilt blocks are a variation of the traditional maple leaf block. 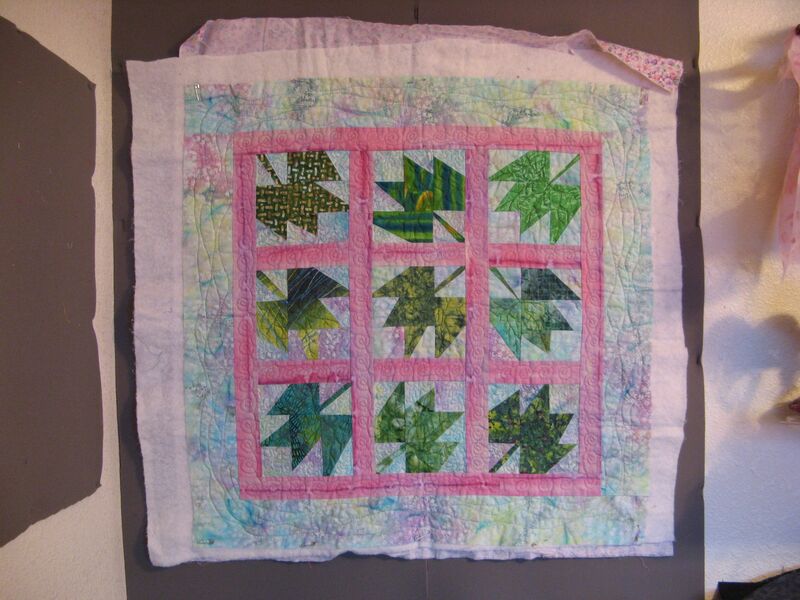 I used Jan Mullen’s techniques (see her book Cut-Loose Quilts: Stack, Slice, Switch, and Sew) to make the leaves irregular. I think they look more life-like when they are a little less symmetrical. 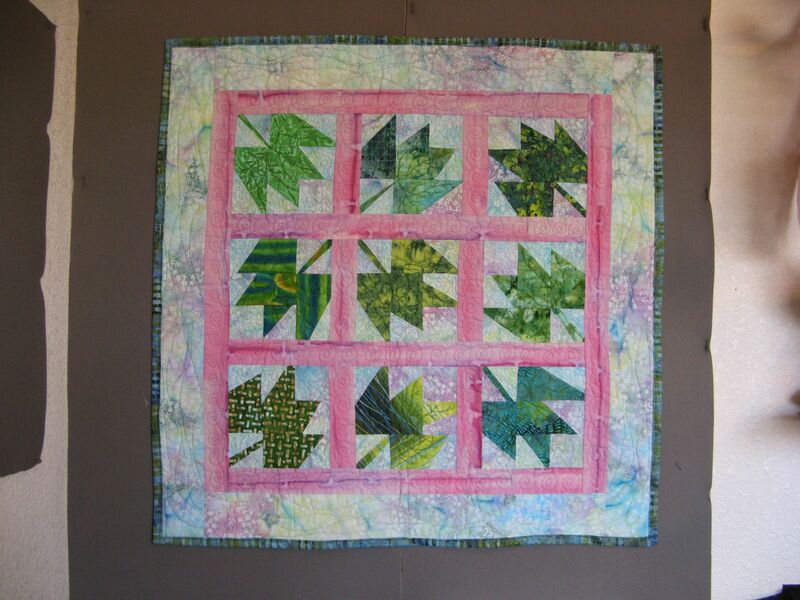 I call the quilt Maple Leafz in honor of Mullen, whose blocks include “Log Cabinz” and “Snailz Trailz”.